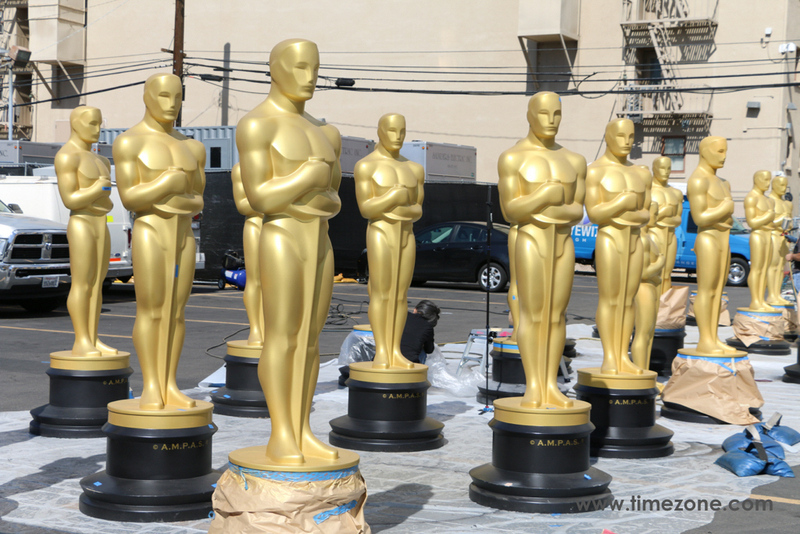 Each January, hundreds of millions of film fans around the world turn their attention to the Academy Awards. 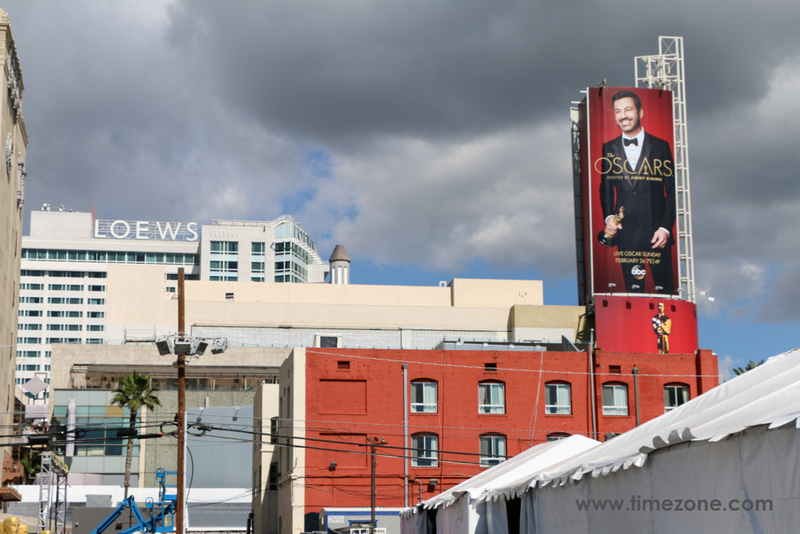 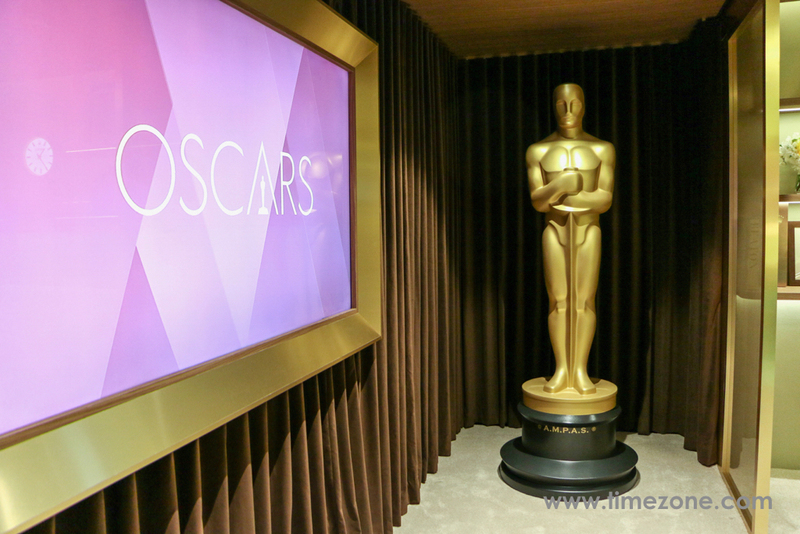 Interest and anticipation builds to a fevered pitch leading up to the live Oscar telecast in February. 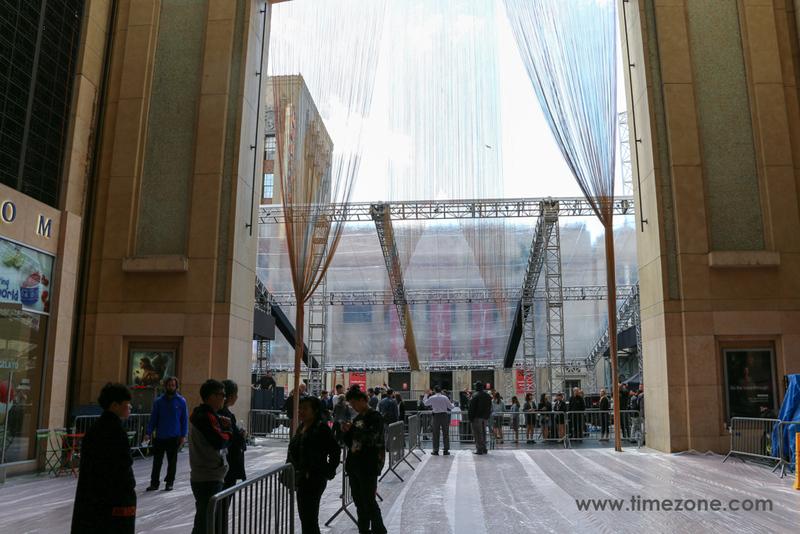 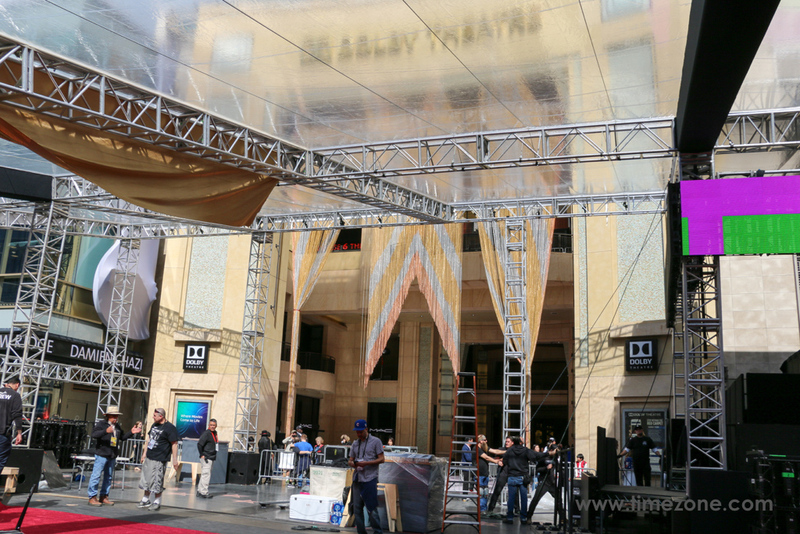 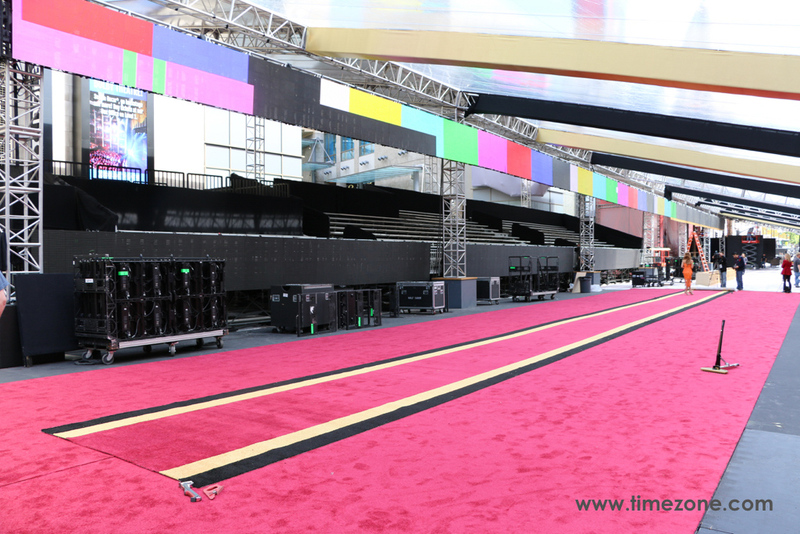 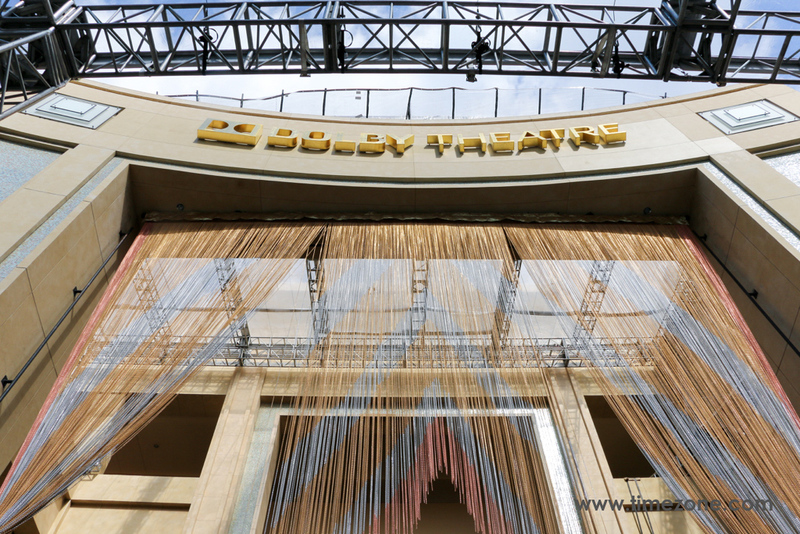 Although the glamorous ceremony lasts but a few hours, it takes weeks of preparation, as crews work day and night to transform the Dolby Theatre into Hollywood's biggest night. 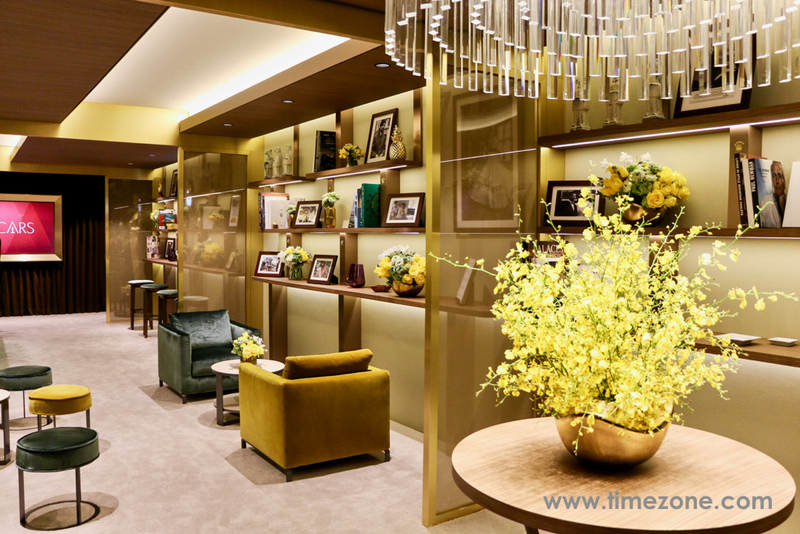 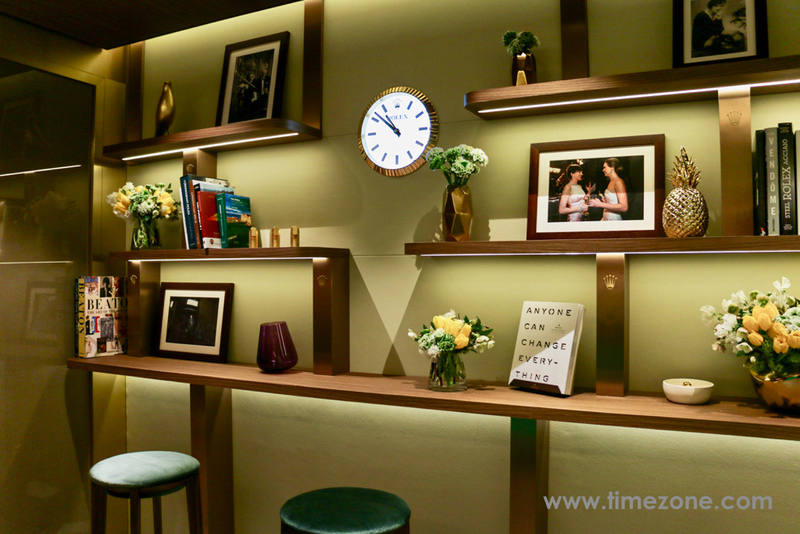 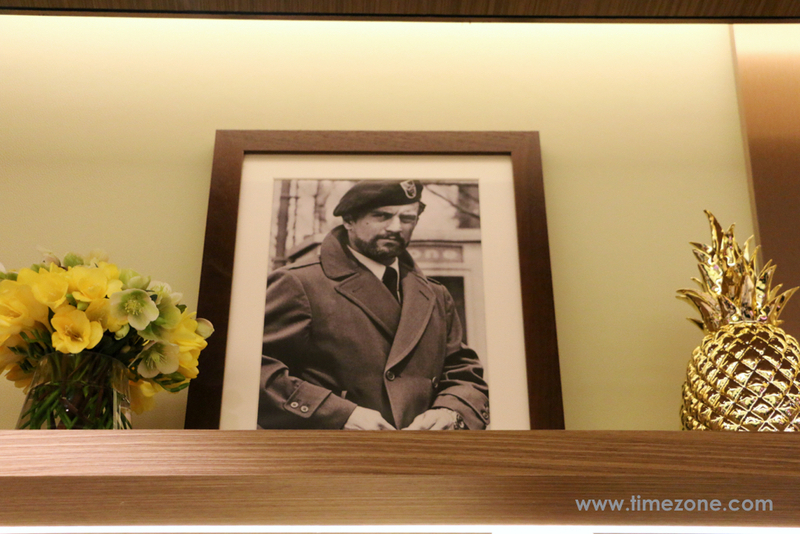 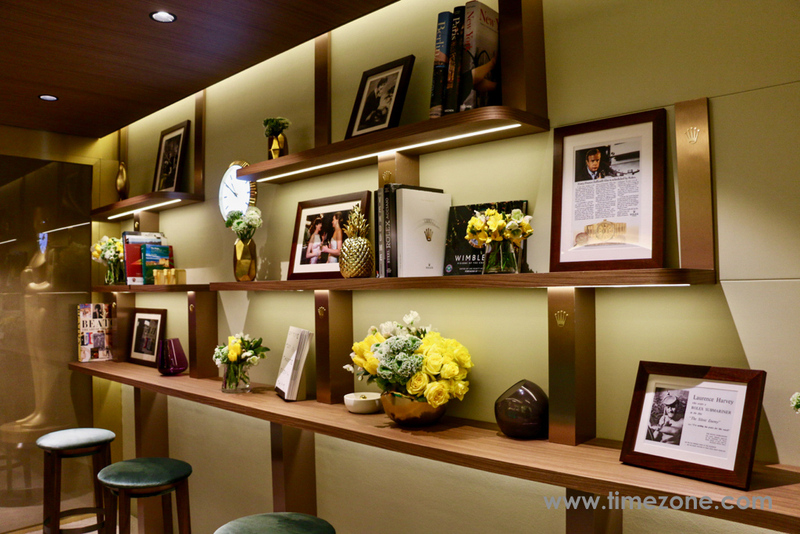 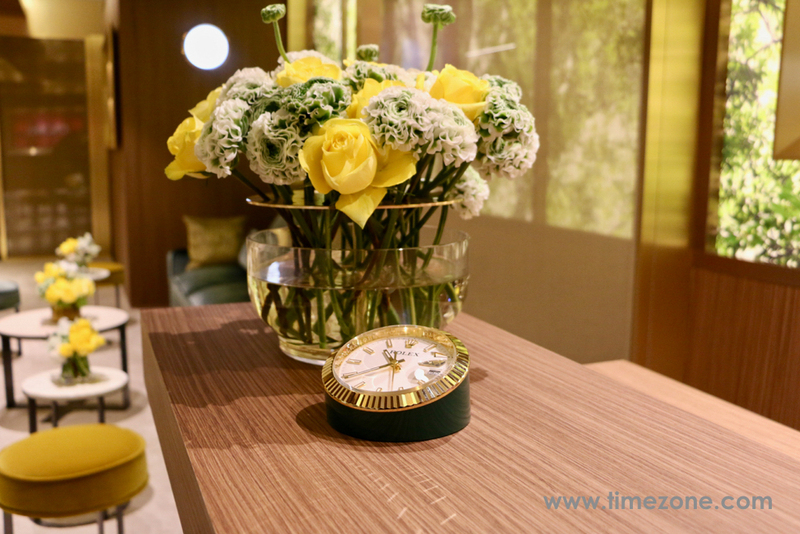 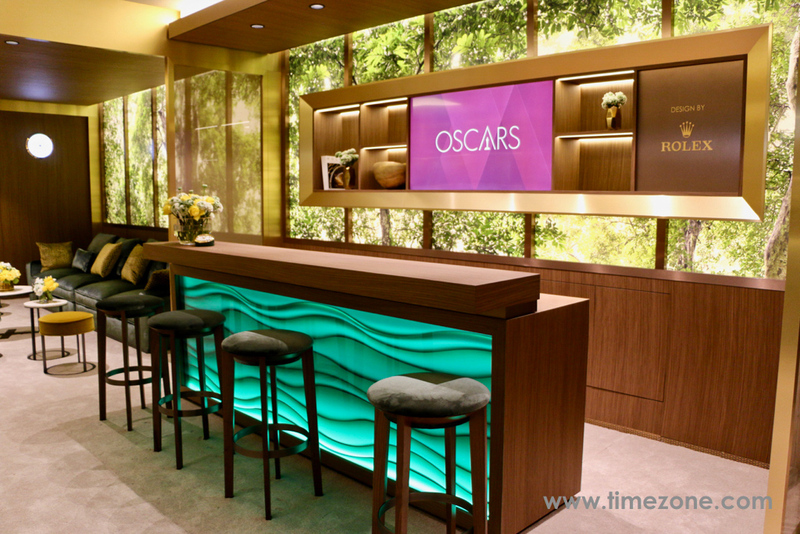 Ahead of the 89th Oscars ceremony this Sunday, 26 February 2017, Rolex invited TimeZone inside its super-exclusive Oscars Greenroom. 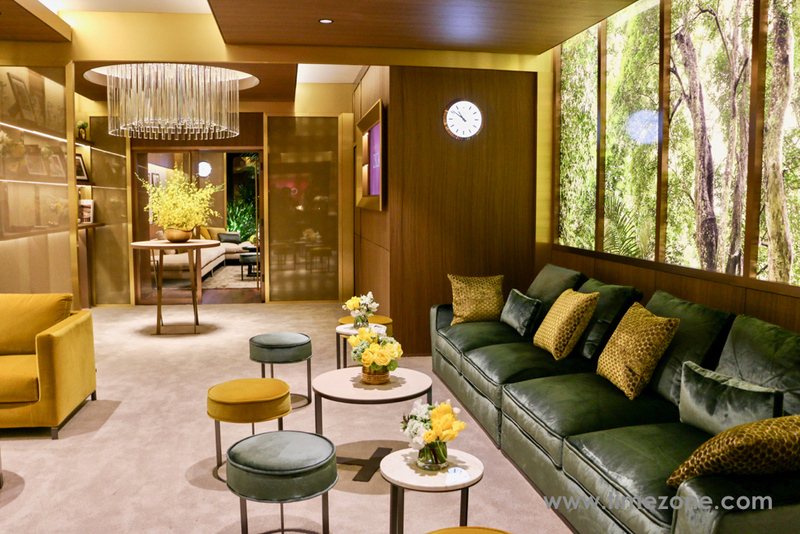 This is the second consecutive year that Rolex designed the Oscars Greenroom, and the premiere year that Rolex is the title-sponsor of the live telecast on ABC Television Network. 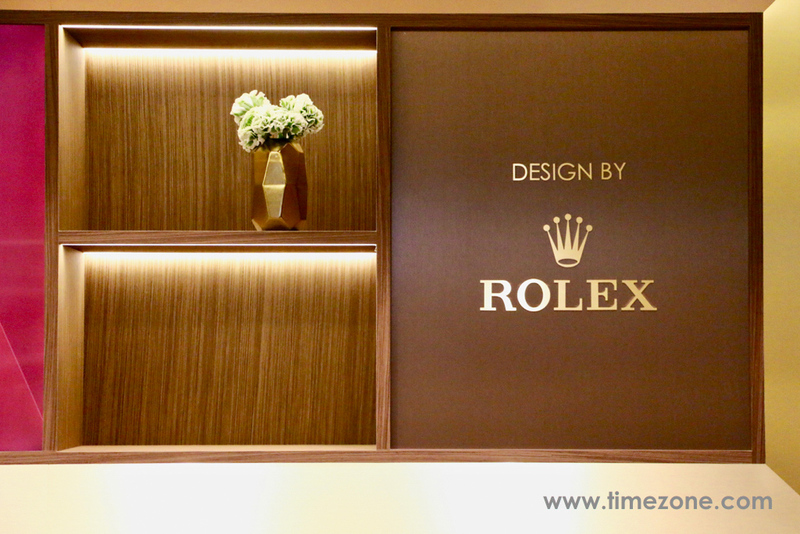 During today's behind-the-scenes tour, TimeZone got the scoop that a Rolex commercial will air twice during the Oscars broadcast that helps explain the watchmaker's comprehensive role in filmmaking. 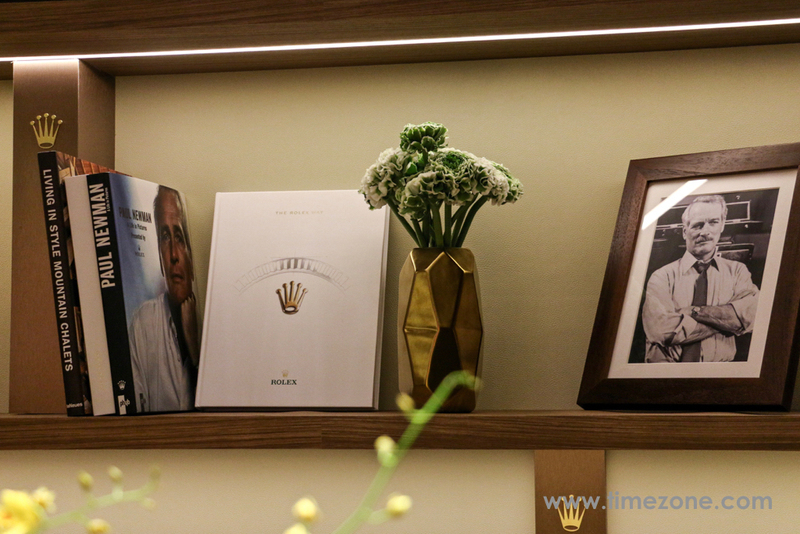 For decades, Rolex has not only been a presence in legendary films, but also a supporter of a philanthropic program that seeks out gifted young artists through its Rolex Mentor and Protégé Arts Initiative. 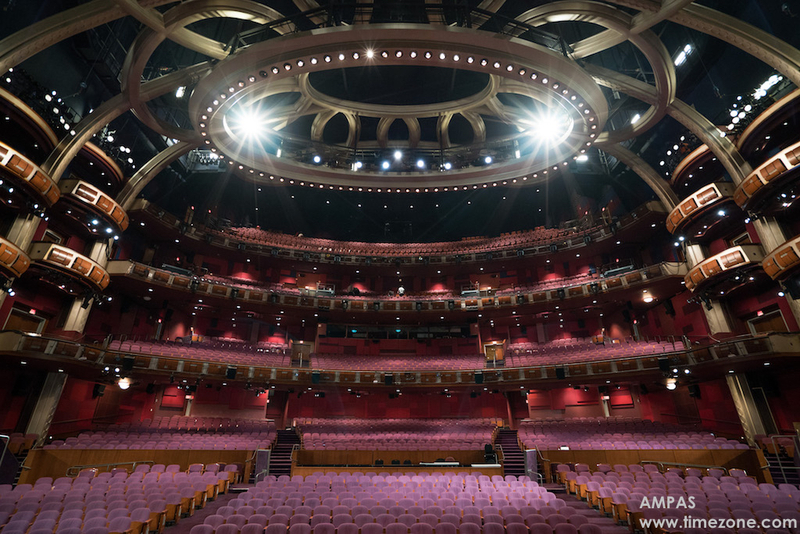 Started in 2002, the program pairs mentors and protégés in dance, film, literature, music, theatre, visual arts and architecture. 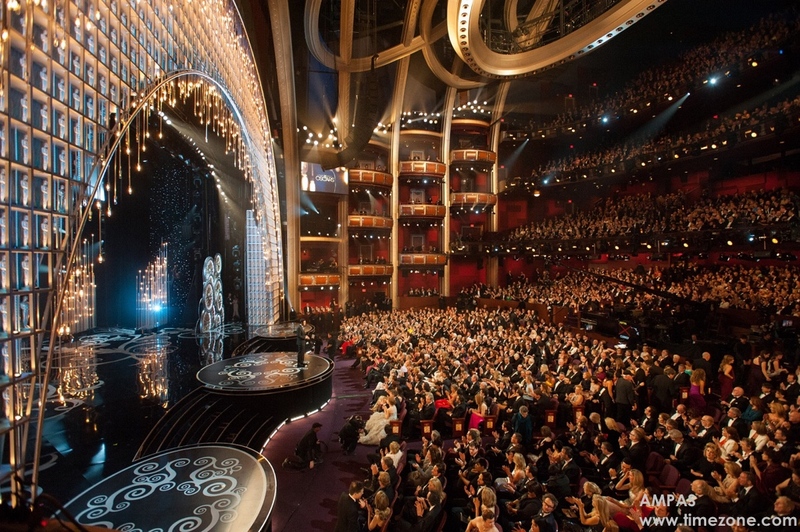 The film mentor program is supported by Academy Award-winning directors Martin Scorsese, Alejandro González Iñárritu and Alfonso Cuarón. 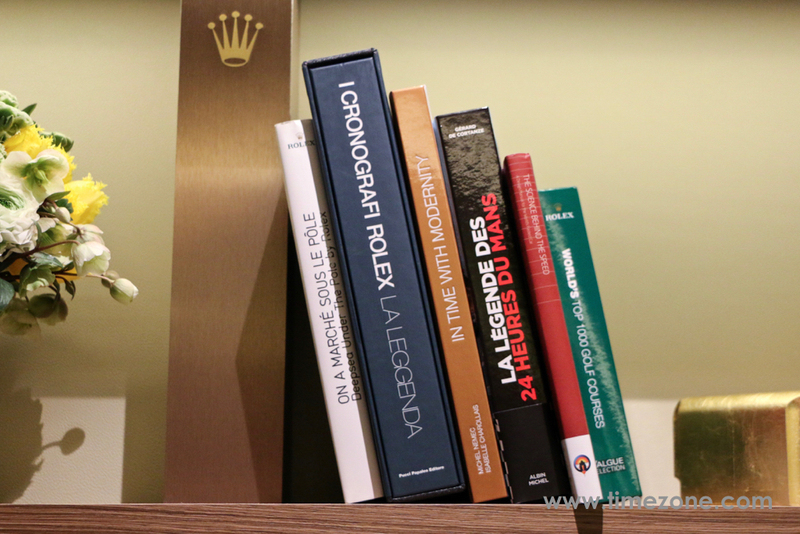 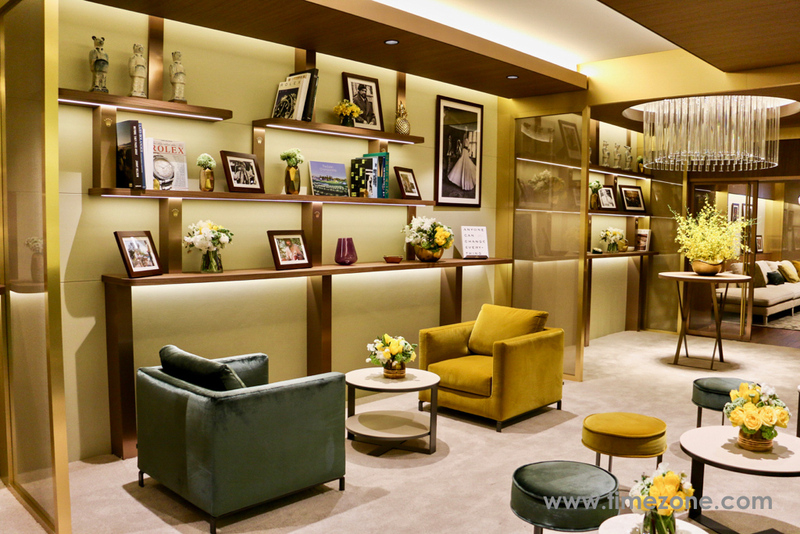 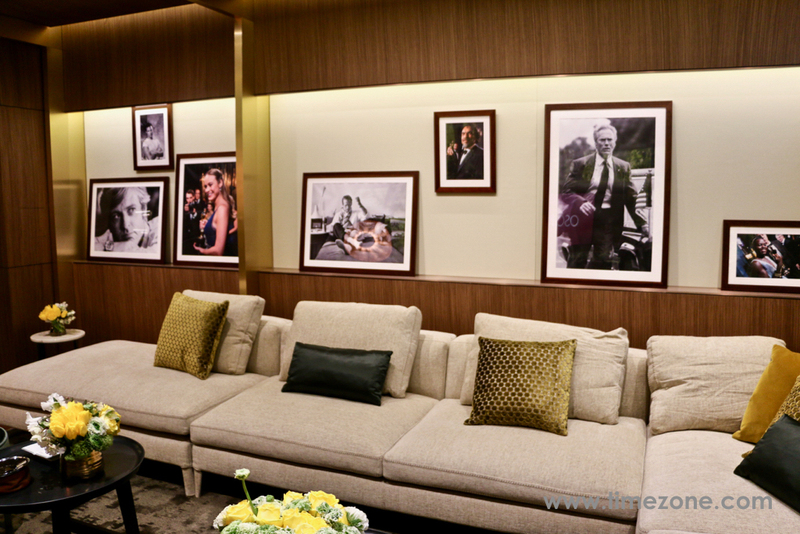 Located backstage, the Rolex Greenroom is filled with VIPs throughout the Oscars ceremony, including presenters, performers and the newest Academy Award winners clutching their golden trophies. 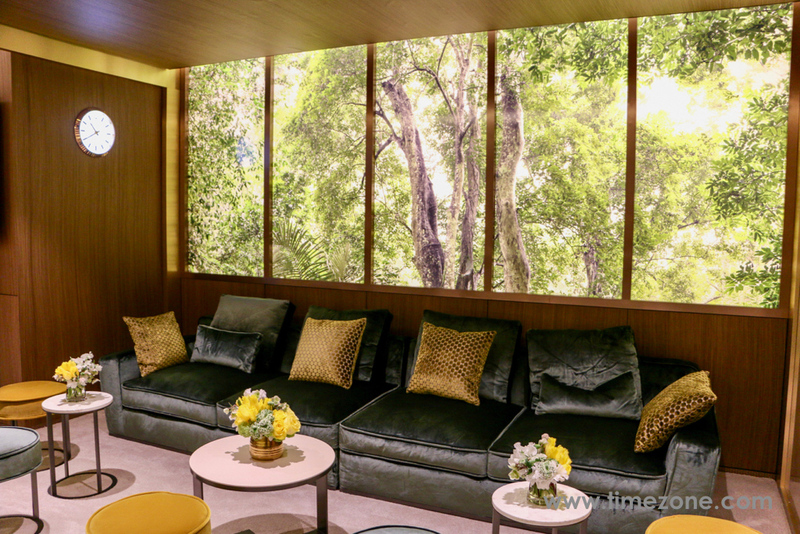 The room is casually elegant and is decorated like a Hollywood Hills home with walnut panelling, leather covered walls, Italian marble tables, and lots of comfortable seating. 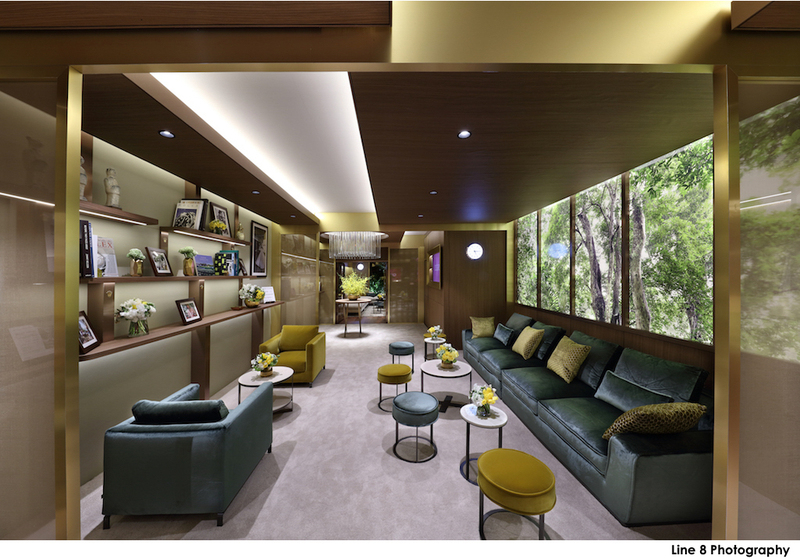 Lightboxes span the length of the entire Greenroom to create the impression of a window with a panoramic view of a forest. 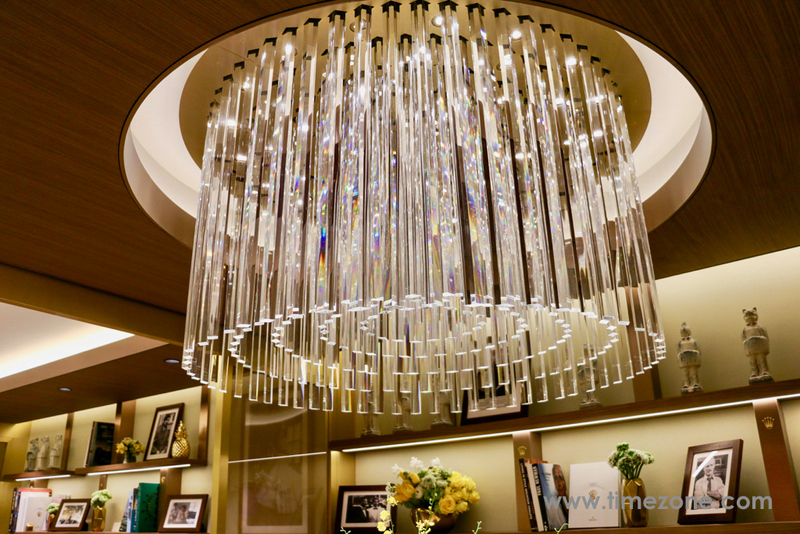 The Vistosi Murano chandelier is from Venice and is fabricated with glass rods that resemble the fluted bezel of a Rolex timepiece. 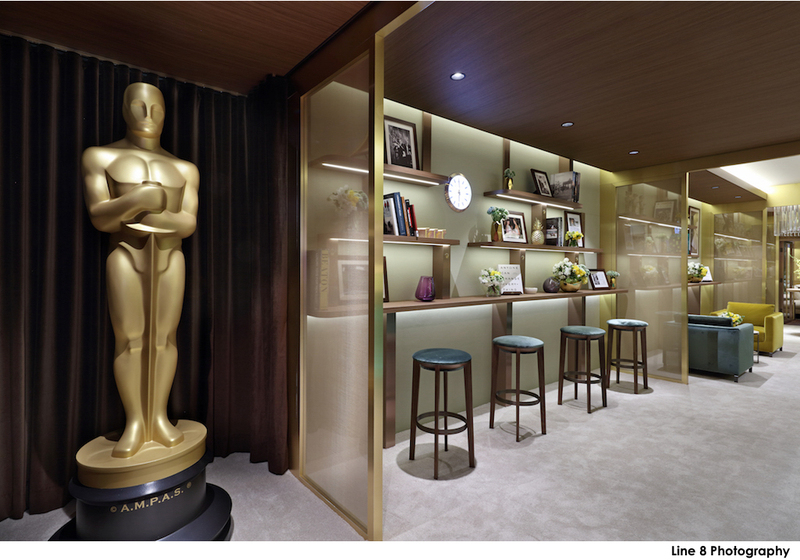 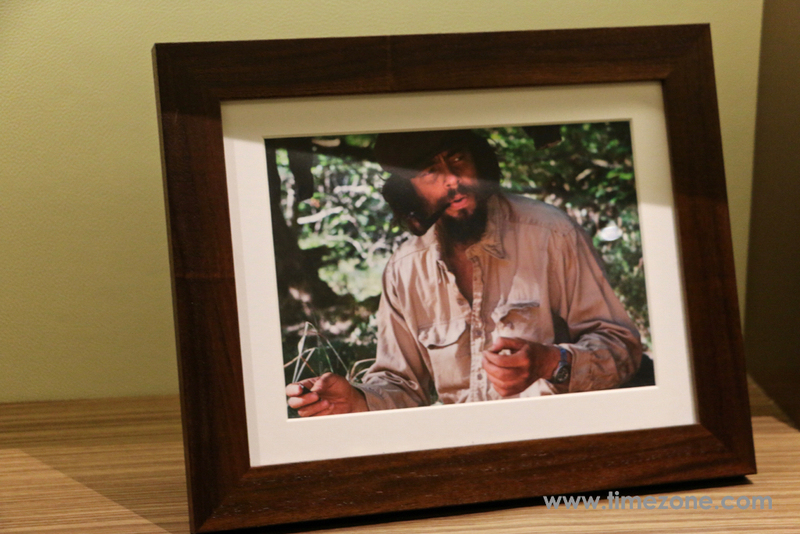 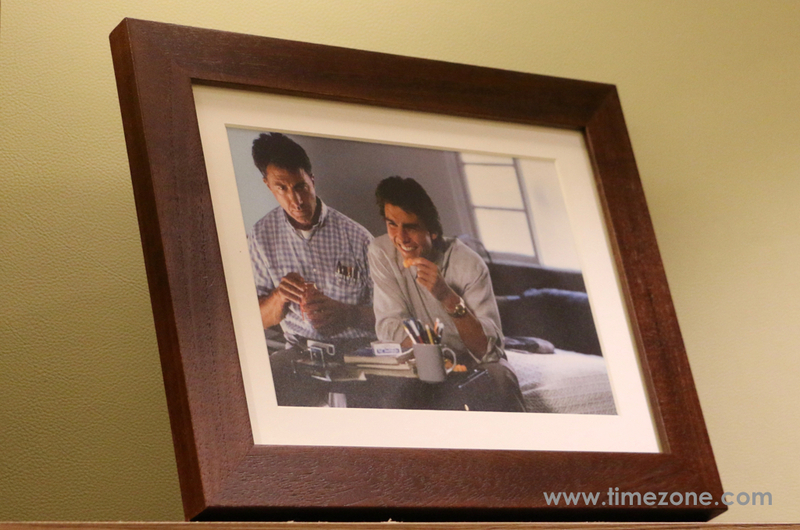 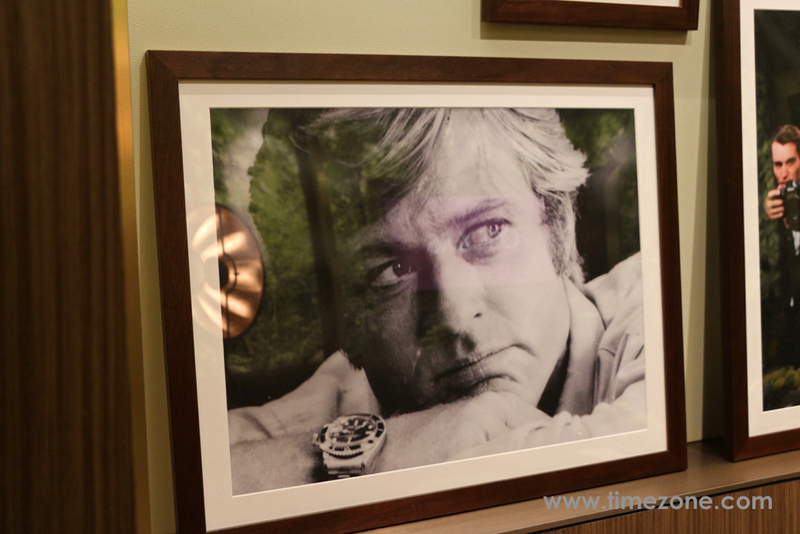 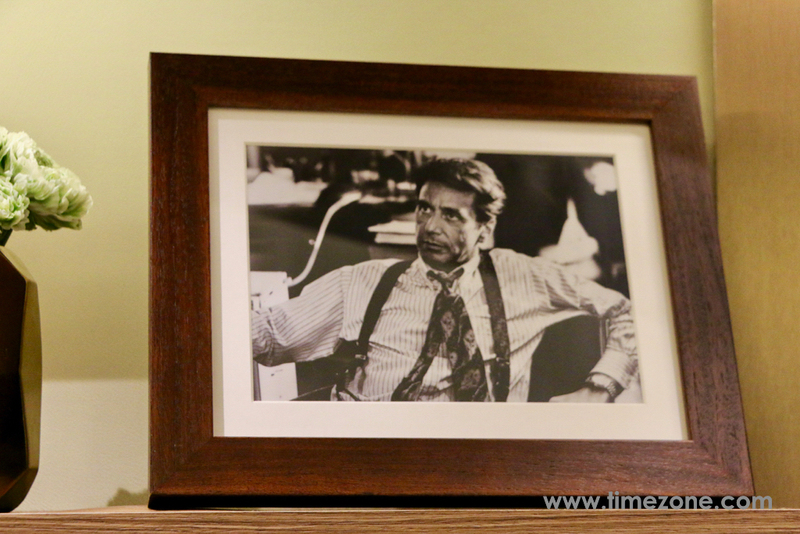 The green room is finished with details like a life-sized Oscar statue at the entrance, a library of horological books, numerous Rolex wall and table clocks, and framed movie stills on loan from the Academy of Motion Picture Arts & Sciences. 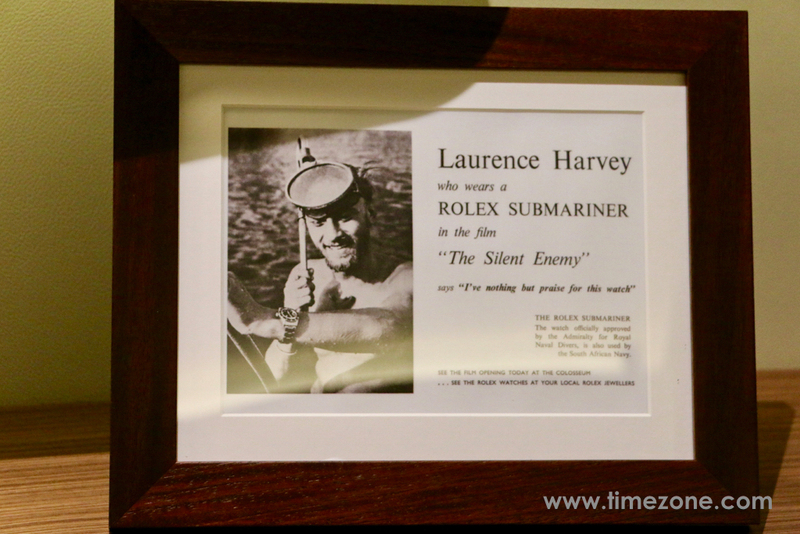 Notably, Rolex never pays for product placement in films. 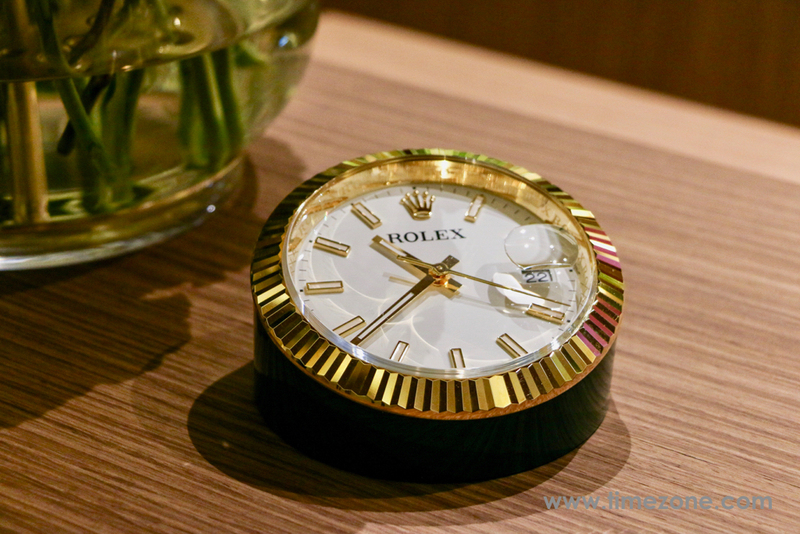 Therefore, every Rolex that appears in cinema occurs independent of the watchmaker and as part of the script, or as a costuming decision, or simply as an actor's personal timepiece. 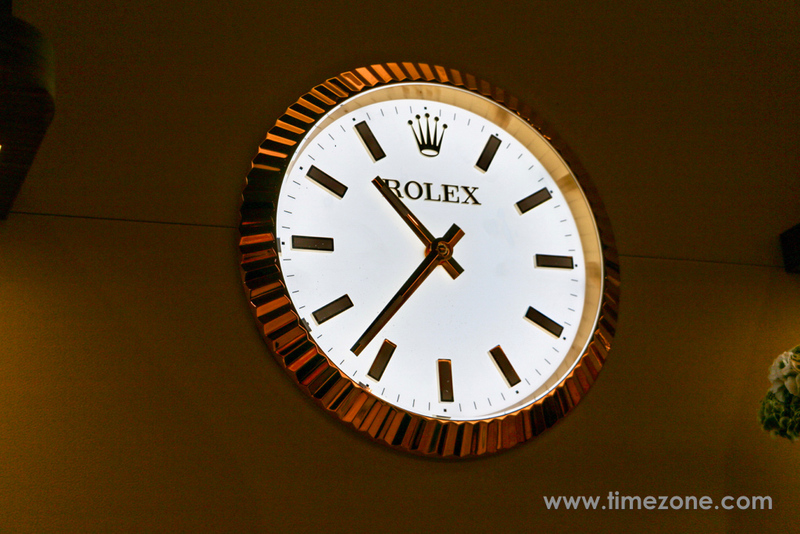 Next Topic: IMHO, this is one beautiful watch.